We aren’t bashing on juice cleanses. We think there is a right time and place for them, in fact, we love green juices. We just think our clientele is looking for a bit more to support their active lifestyles, so this year we introduced our new fitness kit. We understand that a lot of you need an accountability partner and need some extra motivation around this time of year. Our new fitness kit is your accountability partner and literally your secret weapon. 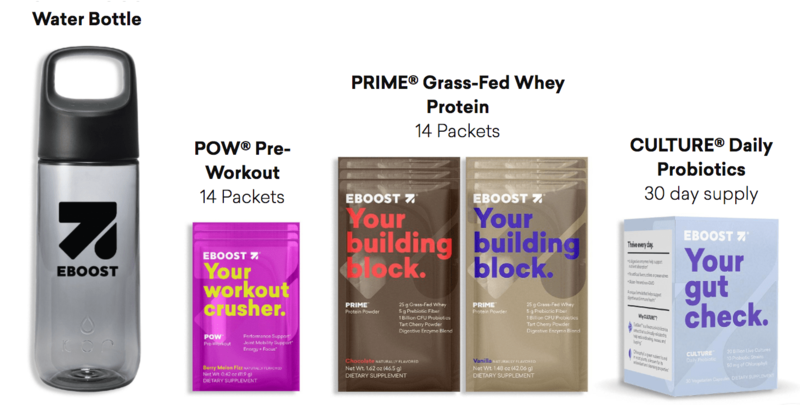 Our fitness kit is designed to give you everything you need for 14-days to maximize your workouts and see results quickly. It is specially designed to provide the proper nutrition your body needs. This natural pre-workout will help you feel energized and focused, help your muscles and joint perform better. Usage: 1 packet, 5-10 min before your workout. Highly purified grass-fed whey protein helps strengthen and replenish your muscles. Usage: 1 packet within 30 min after your workout. To help support your digestive and immune health and keep your gut in check. Mix all of your EBOOST products in this sleek water bottle and use to stay hydrated throughout the day. 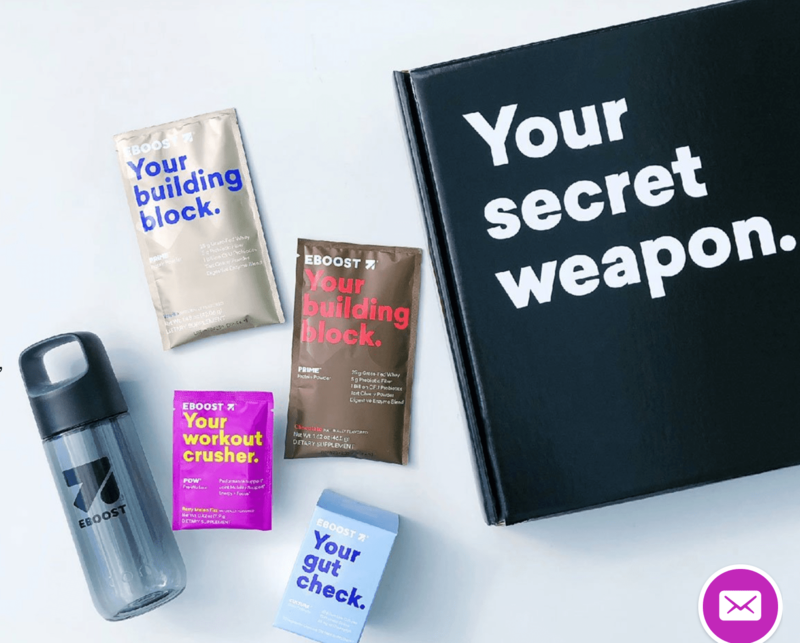 Click here to order your secret weapon today!